Forty-five years of experience on the Great Lakes, inland and ocean waters. Owned, restored, cruised and worked aboard 20 various vessels, ranging from a 13’ Boston Whaler to a 35’ steel-hulled party boat. Owned and actively participated in Thumb Marine Inc. Provided salvage services (1970-2004). Owned and operated a 30 passenger charter boat, the "Miss Port Austin," on Lake Huron, in Michigan’s Thumb, for 24 years (1983-2006). 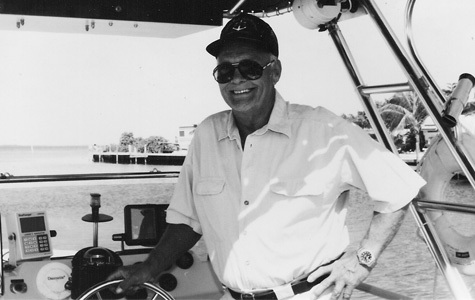 Past sales representative and test boat operator for Henry Smith Co., Michigan and Florida. Consultant, expert witness and provider of boat survey condition value reports for marine insurance companies. Current arbitration representative for Boat/U.S. Former approved tower for Boat/U.S.